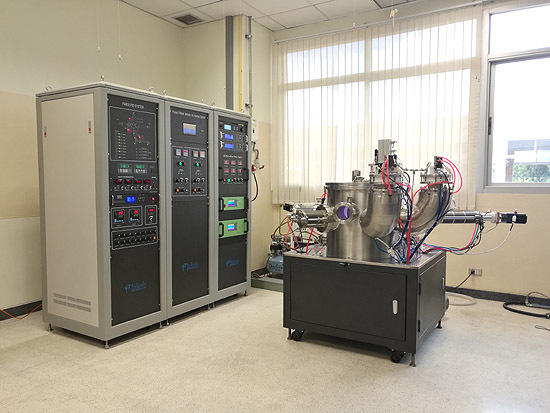 Smart PVD System with functions of DC and RF Magnetron Sputtering, Pulsed Filtered Cathodic Arc Deposition, RF-CCP for PECVD process, High Voltage Plasma Immerion Ion Implantation process. F500mm x 500mm, stainless steel chamber, double-wall with water-cooling. 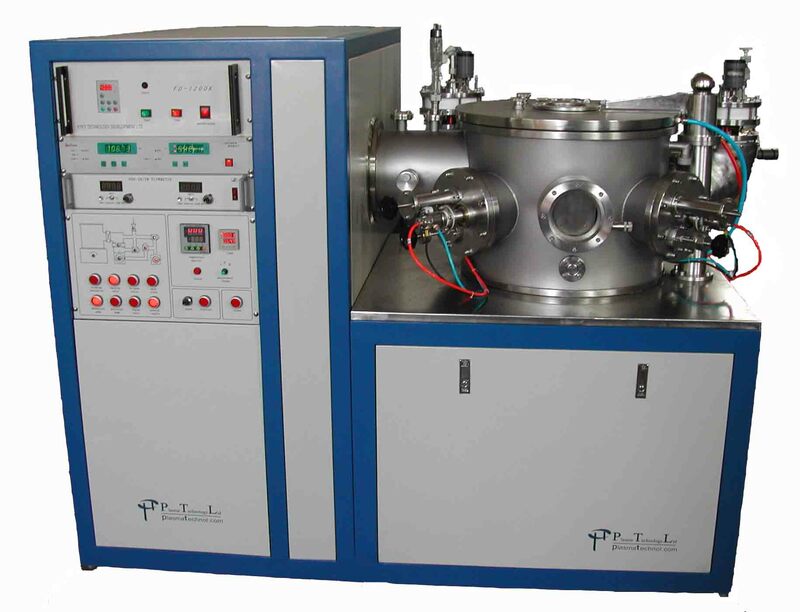 2 sets of magnetron sputtering sources MS (2" target) with shutters and stretchable distance from sample stage. 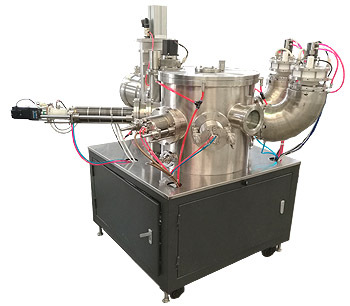 1 set of rotatory high-voltage HV sample stage with controllable rotation speed. 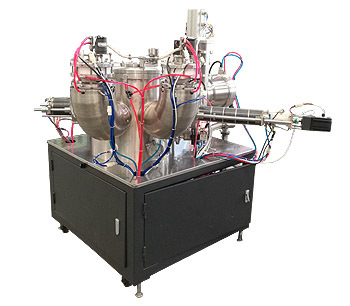 2 sets of rotatory low voltage LV sample stages with controllable rotation speed, stretchable distance from treatment sources, PID temperature control upto 500oC. One LV stage is face to the confocal plane of MS sources and the other one is face to the confocal plane of P-FCVA sources.